Jyoti is a Life Coach and founder at Soul Symphony aims at connecting her clients to their inner selves so that they feel empowered and look for the guidance within. She is also well versed with some alternative therapies like crystal healing and Tarot card reading. 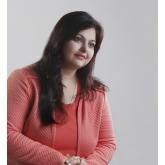 Jyoti is a certified Life Coach through ICF and an NLP Practitioner. Postgraduate in English and possesses a degree in education, she has worked as a teacher and a trainer in the past with some of the finest educational institutions in Delhi. She was associated with YWCA as a faculty for soft skills. According to her, these experiences taught her a lot and encouraged her to enhance her capabilities as a human being and expand her horizon further to people from different walks of life. Born and brought up in a family where values remain at the epitome and materialistic dimension never came into the picture. Got married in the year 2001. She further adds that her journey so far has been smooth and swift with waves of happiness and sadness making entry and exit every now and then. As an NLP practitioner and a certified Life coach, she has coached more than 200 women from different professions. Presently, managing Soul Symphony as a Principal Coach. 4-5 years of enriching experience in the field of education as a teacher of the English language. ""There comes a time when you feel stuck in your life and things do not happen how you wanted them to be. You start over thinking about the past and future making way for %u2018Anxiety%u2019 to creep in. I came across the Soul Symphony and approached Jyoti to help me out of my woes. Trust me that was one of the best decisions of my life. Jyoti has a very friendly and non-judgmental approach to every situation. She helped me change my perspective on the situations that were bothering me. She has been instrumental in re-wiring the thought process and as a result of which I feel much positive and stronger to face life challenges. Jyoti is a wonderful person, I cannot thank her enough for bringing this change in me." ""I thoroughly enjoyed the crystal consciousness sessions. My confidence increased and I became more focused. Crystals helped me to accept and realize "who am I" and guided my emotions and thoughts to face the obstacles in my life peacefully and courageously. Thank you for helping me to realize "ME"." "Jyoti is an angel that happened to me. I was in a phase of life where I couldn't make a decision everything was so confusing. One day I just prayed that is there someone who can help? And the next day I met Jyoti. She guided me very well and today I am much confident and happy that I was. She is a very good listener and gave me easy techniques to follow so that I can overcome my problem. I would definitely recommend Jyoti as she is very good at her work. I have benefited from her. God bless you Jyoti and thanks a lot for all the help you have given me. Margaret."